The signature to most of my emails is Be Unique, but Belong. Here are some posts about the idea Be Unique, but Belong. This morning, I read some news about the Pacquaio fight last night. I watched the fight. I read about the broken orbital lobe, and how Margarito’s corner should’ve protected their fighter. But the thing that stood out to me was the extreme fans. The Filipinos represented. The Mexicans represented. I read one report about how basically the country of the Philippines shut down. Read this article about how no one went to mass. In this poor country, people paid from P280 – P500 to watch the bout. That’s a lot of money for a Filipino. 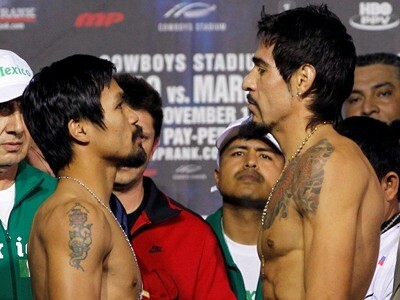 All over Twitter people were siding with their fighting – funny enough, I did not see many Twitterers for Margarito. I didn’t want to write about Pacquiao, but I was overwhelmed by people’s desire to connect – to feel like a part of something. Here’s the thing, people watched the fight to cheer for themselves. There is an identifying with something – with someone that gives you a sense of identity – a sense of belong. That’s how identity works. Belonging to a group gives you identity.